A shared vision for the greenway was established in 1996 and the City and The Trust for Public Land have worked in tandem to gradually complete sections as property is acquired and funding is received. This project has been a joint public-private partnership throughout its development with funding from a variety of federal, state and local sources. 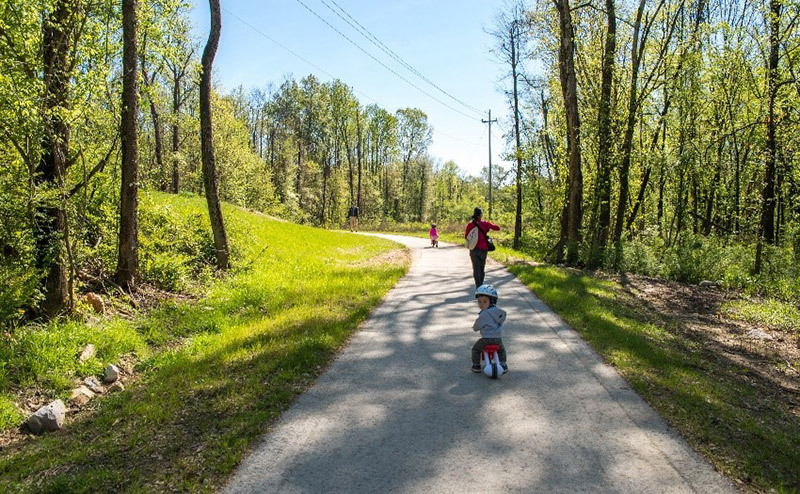 TPL has acquired all the easements and fee simple property along the creek corridor and recently constructed the connection to the Riverwalk including a 190-foot free span bridge. The greenway has been developed in a way that limits impact to the natural beauty of the area. It follows the natural alignment of the creek and topography of the land, creating views of water, earth and rock. The creek creates a corridor for passive and active recreation with canoe/kayak launch points along its banks. Over 30,000 people live within one mile of this recreation corridor. South Chickamauga Creek Greenway can currently be accessed from these trailheads.